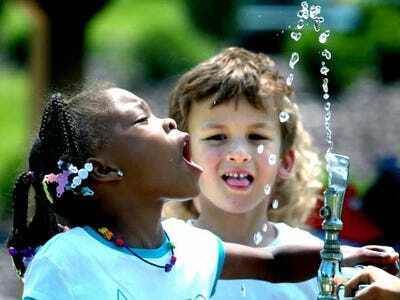 Americans care very little about water, because for most of our history water has been abundant and good. 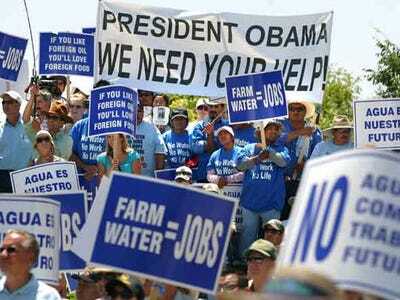 But problems with infrastructure and supply are growing.Globally, the water crisis is much worse. 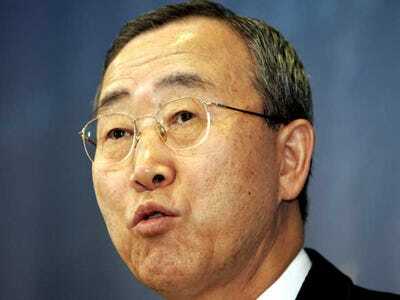 We are fast approaching a world in which the most hotly-contested resource for development and survival is not oil, but water. 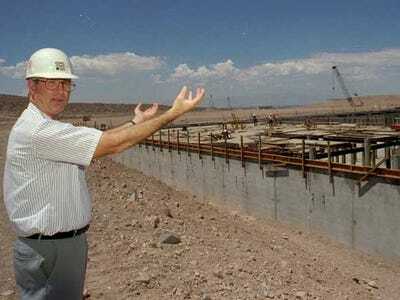 This is also why investors have become crazy about it, pouring huge money into water rights, desalinization, and purification projects. America must spend $255 billion in the next five years to prevent deterioration of water infrastructure. We plan to spend half that amount. 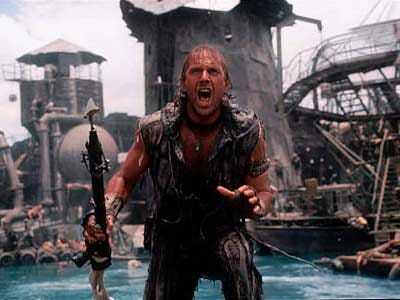 Californians look forward to a fourth straight year of serious drought. 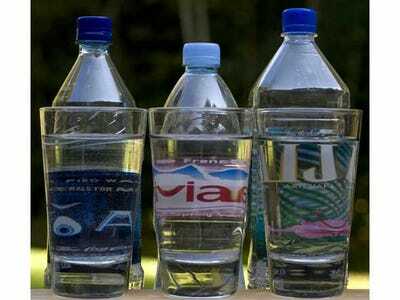 Transporting water is impractical, even within the U.S. Just look at the cost of bottled water. 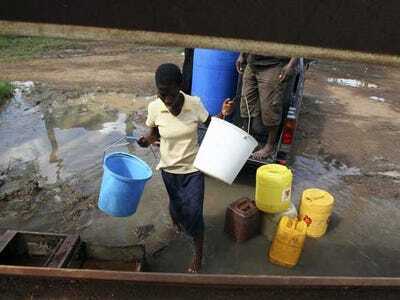 A few exceptions to the economic limits on transporting water exist. Bottled water, for example, is sometimes consumed vast distances from where it was produced because it commands a premium far above normal costs. 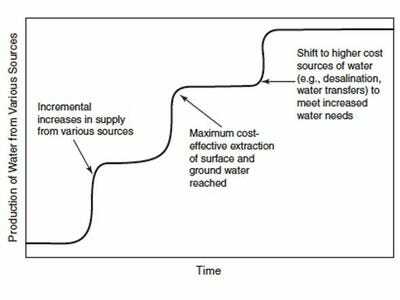 Growth in bottled water consumption may expand in some markets, but overall, long-distance transfers of bulk water are not likely to become a significant export in commercial markets. 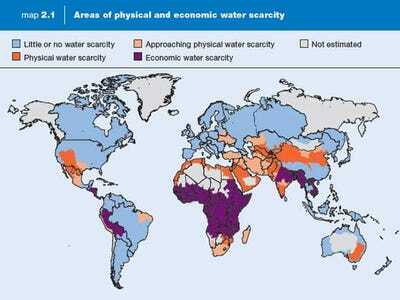 Globally, 1.2 billion people live in areas with inadequate water supply. 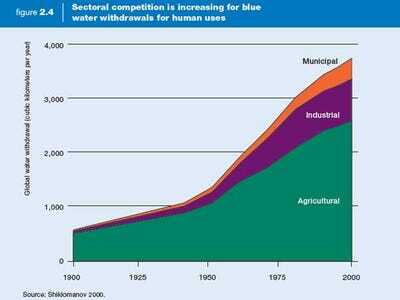 Water use is increasing much faster than population. Global water demands will increase by 40% in the next 10 years. 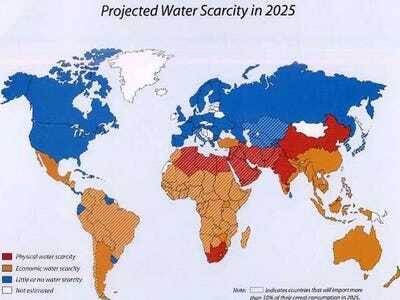 By 2025, two-thirds of the world will live under conditions of water scarcity. 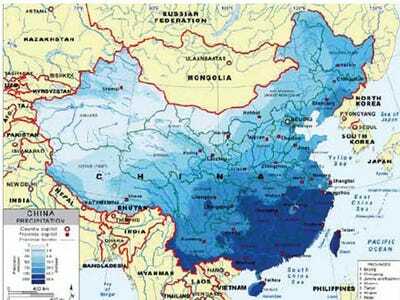 Two-thirds of the cities in China suffer from water shortages. 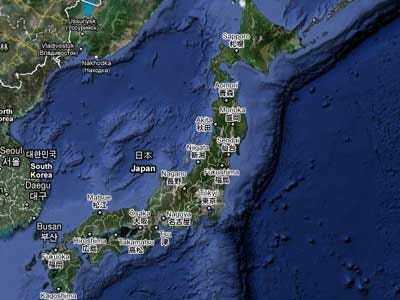 Clean water is even more rare. 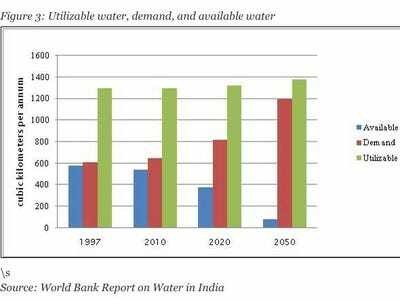 India WILL run out of water in the near future. 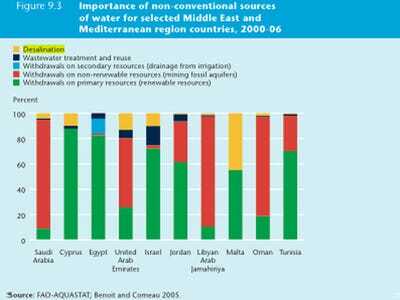 MENA maintains water supplies through expensive and non-renewable sources. Green tech may provide a way past peak oil. There is no escape from peak water.